Ryusho Sakagami was born in 1915 in Hyogo Prefecture, Kawanishi City of Japan, His father made saki and the family wine making business made him a very prosperous businessman. Sakagami began practicing the martial art of ‘Kendo” around the age of ten and in his later teen years he began to study iaido which is the art of drawing the Samurai Sword. Ryusho Sakagami diligently practice these arts and by the mid 1930’s (’34-’35), he enrolled at the prestigious Tokyo University, the Kokushinkan, who’s specialty was producing the top Kendo instructors in Japan. 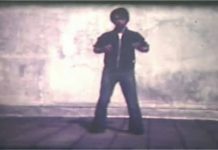 It was while he was attending the university, that he became interested in the art to Karate-Do and in Kobudo. 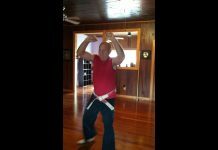 Later he would receive instruction from the famous Okinawan master, Moden Yabiku. 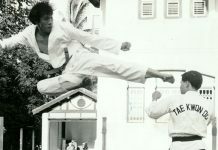 In the insuing years, Ryusho Sakagami would continue his education and intense training in various martial arts. In approximately 1937, after his repeated visits to Okinawa to train in Karate-do and Kobudo, he was encouraged by some of the great masters to return to Osaka, Japan and continue his studies with the prominent Okinawan master Kenwa Mabuni. After his graduation from Tokyo University, Ryusho Sakagami returned to Osaka to become a dedicated disciple of Mabuni. 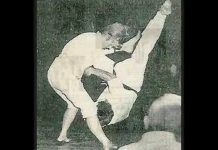 By 1941, Sakagami was successful in receiving his “Shihan” (master teacher) license from Master Mabuni. He then returned to his home prefecture to establish the “Gembukan Karate-Do Dojo”. In 1942 Ryusho Sakagami was awarded the honorary Karate-do title of “Renshi” (man of discipline) from the Dai Nippon Butoku-Kai, (the most prestigious martial arts organization in Japan at the time), for his efforts to further promote Karate-do. Before his untimely death on May 23, 1952, Grandmaster Kenwa Mabuni directed Ryusho Sakagami Sensei to accept the honorific position of “Third Generation Leader of Itosu-ha”, which was Itosu’s orthodox style. In 1953, after the Grandmaster’s death, Sakagami Sensei moved to the Tokyo area where he taught for a short time. He then settled in the town of Tsurumi located between the cities of Kawasaki and Yokohama, Japan. By 1955, Sakagami Sensei had firmly established the “Zen Nippon Karate-Do Itosu-Kai” headquarters where Kendo, Karate-Do, Kobudo, and Jodo (way of the short-staff) were taught. Over the next few years, Sakagami Sensei continued studying Ryukyu Kobudo under Grandmaster Shinken Taira who awarded him a Shihan licence in 1959, and later promoted him to the level of 8th Dan, Kobudo in 1963. Master Sakagami had a reputation as a highly qualified and well respected martial artist famous for his knowledge of all Japanese Budo, and he was regarded as a walking encyclopedia of styles, lineage, technique, and kata. 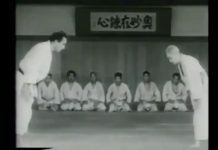 During this time, Master Sakagami also distinguished himself as a 5th Dan in Aikido, 5th Dan in Judo, and 7th Dan in Jukendo (way of rifle and bayonet). In 1962, Sakagami Sensei was awarded his 7th Dan, Kendo – “Kyoshi” (man of high attainment) level of distinction, a great honor. 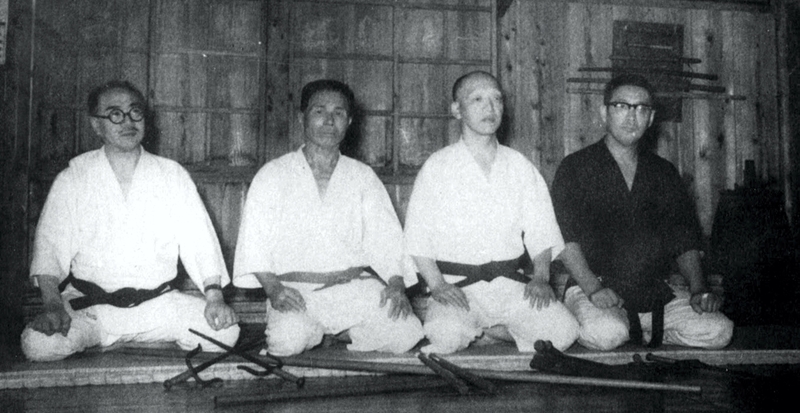 Among Master Sakagami’s more notable disciples were his son Shihan Sadaake Sakagami (Chief Instructor, Japan Headquarters), Shihan Seiko Suzuki (Tokyo – founder of present Seiko-Kai Shito-Ryu), Shihan Fumio Demura, (1965 founder of Shito-Ryu Itosu-Kai U.S.A.), and Shihan Kei C. Tsumura (1969 Founder of Shito-Ryu Itosu-Kai, Canada). In 1980, Master Sakagami was awarded the distinction of 8th Dan Karate-Do “Hanshi” (Superior level of attainment) by F.A.J.K.O.and by 1987, he had also reached the 8th Dan Iaido, “Hanshi” level in the Muso Jikiden Eishin Ryu Iai system. 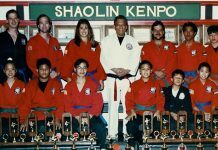 One of the final honors received by Master Sakagami was to be elevated to the 10th Dan Karate-Do – “Hanshi” or Grandmaster level by the Nippon Karatedo Rengokai (Japan karate-do All-Styles Organization). The photo at the top of the article shows (L-R) Fujita Seiko, Taira Shinken, Sakagami Ryusho & Inoue Motokatsu.